Accoyol is a proud upright male with a macho presence. He is heavy boned and moves out squarely on well structured legs in the front and back. Accoyol’s frame demonstrates excellent capacity and spring of rib as well as good width to his pelvis. His head is true to huacaya type and houses perfectly aligned teeth and jaws. 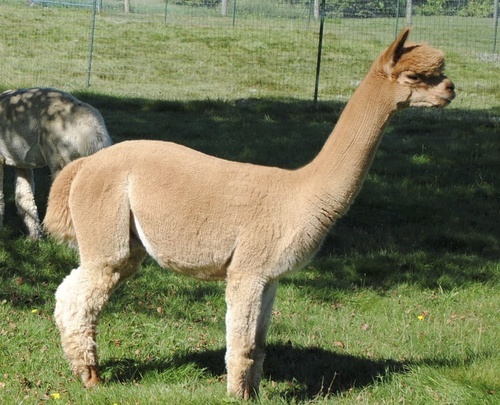 At the ripe age of eight Accoyol is maintaining excellent character throughout his dense fleece paired with noteworthy staple length. 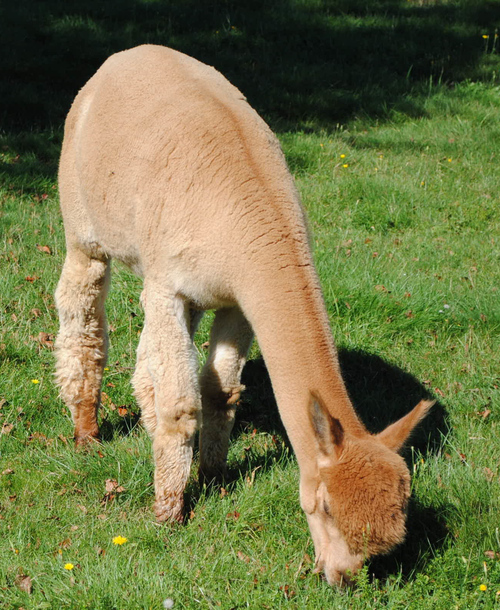 His fleece displays a dramatic crimp style with blinding brightness—a beautiful combination. We acquired Accoyol specifically to bring density and increased organization to our fine females without sacrificing brightness and handle. With the likes of Hemingway and Bueno behind him on his sire’s side and super dam PPPeruvian Lilly (full Accoyo import) he has the genetic backing to produce some amazing results! 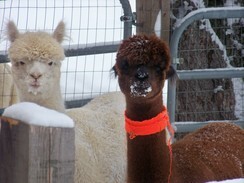 Snowmass Royal Accoyol is proudly co-owned with Fiber Fields Alpaca Farm. Touri is a compact, well balanced, heavy boned female with excellent body capacity. Her movement is smooth and solid due to her correct conformation. Touri’s head is very attractive encompassing a square, nicely proportioned muzzle and large dark eyes. 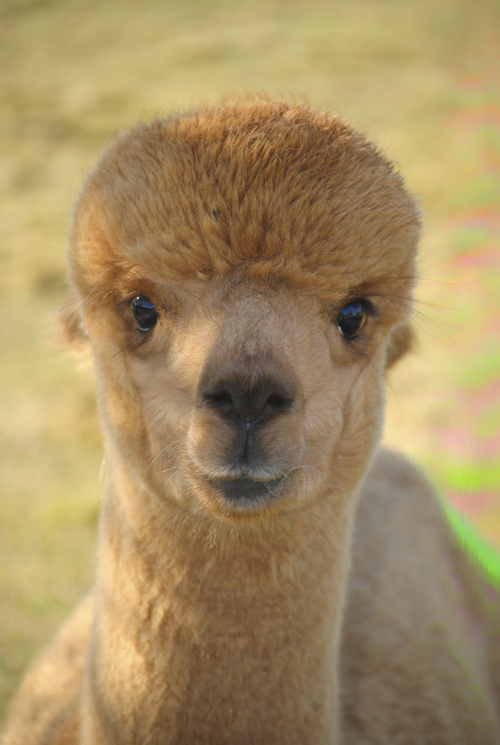 Precipice would be a wonderful addition to your fiber herd. 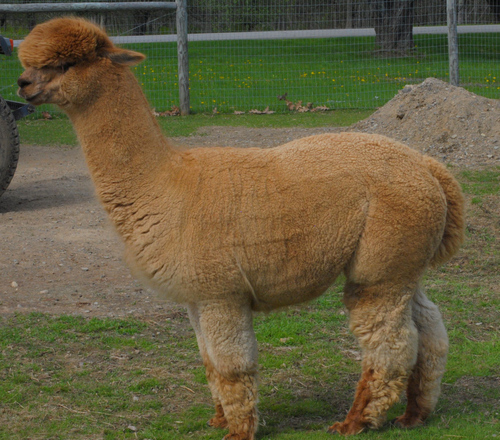 He sports a luscious caramel colored fleece that is dense and soft. 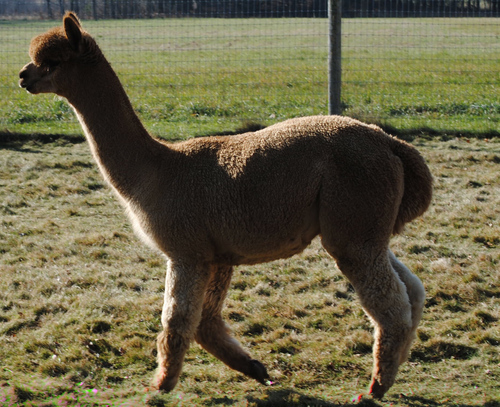 His sire, Snowmass Royal Accoyol, is the son of Snowmass Royal Rose, a Hemingway offspring. Accoyol's offspring have bright, lustrous, heavy fleeces with long staple lengths and Precipice is no exception. This year's leg and neck fleece could have easily been mistaken for blanket fleece it was so long and uniform.